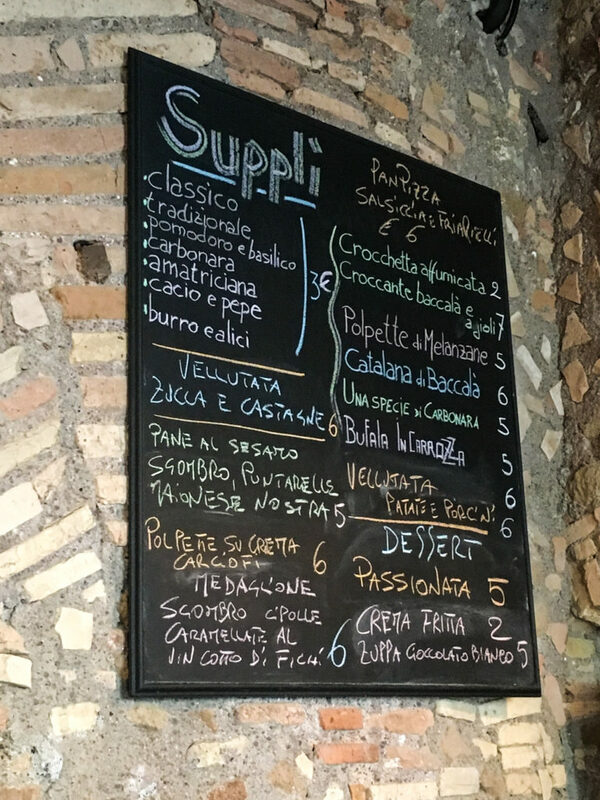 What and Where to Eat in Rome - TA TA, CHEERS! 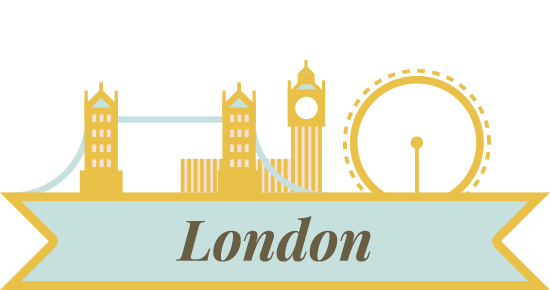 One of the first things you probably think of when you think of Rome is the FOOD. I mean, Italian food has permeated the entire world with its pasta, pizza, and desserts. The thing about Italy is that there are so many regional cuisines. 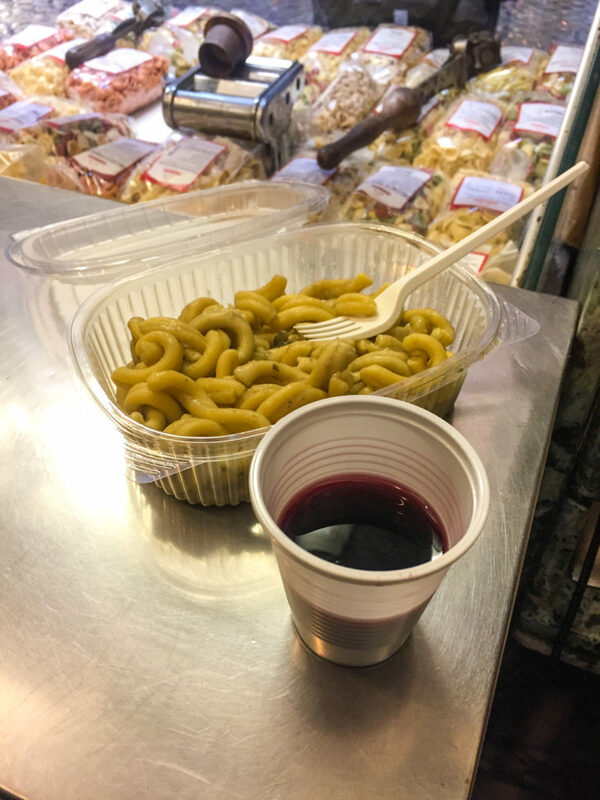 Like any other city in Italy, Rome has its own particular kind of cuisine. 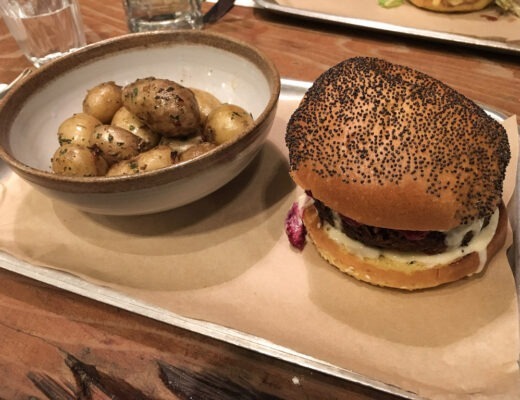 When in Rome, do as the Romans do by eating their delicious food! 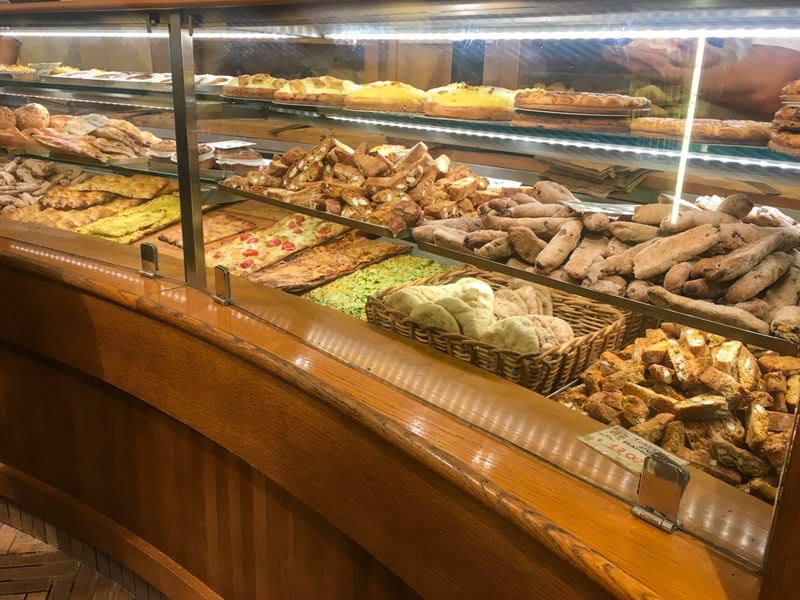 If you’re coming from outside Europe, then you have to load up on pastries once you’re in Italy. 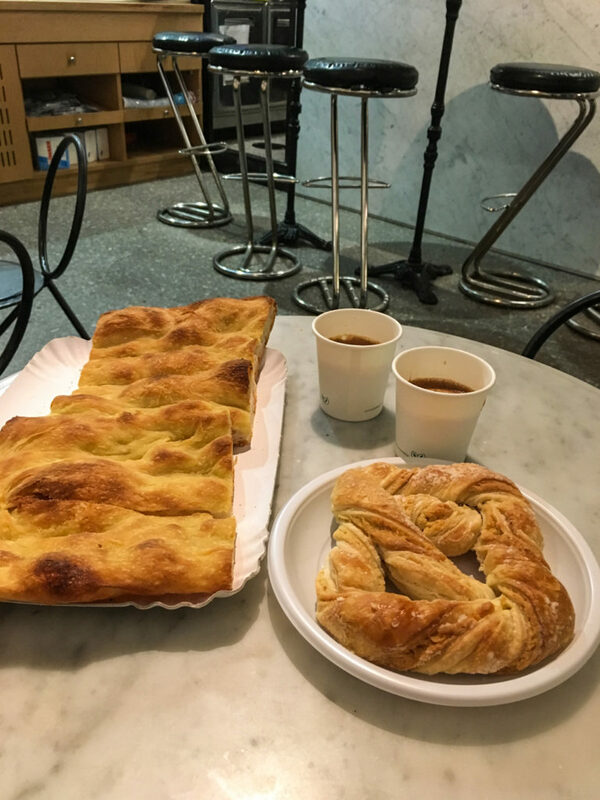 A typical quick, Italian breakfast is a caffe latte with a pastry. 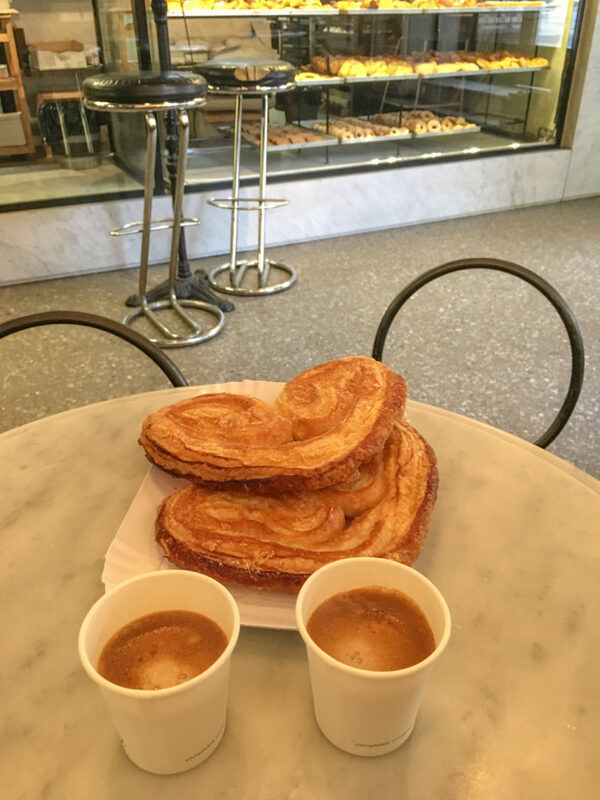 We followed this tradition every morning while in Rome, trying out different bars and bakeries. 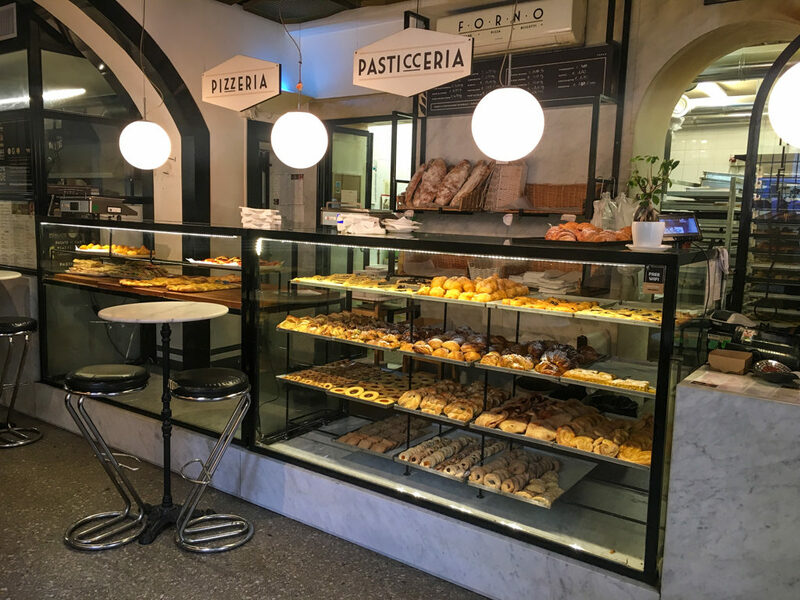 However, our favourite is Antico Forno ai Serpenti, a simple cafe serving incredibly delicious pastries. If you go every morning you can try out a new pastry everyday. For us, the palmiers were the best. But, be sure to look out for some Roman specialities, such as maritozzi, sweet buns filled with pine nuts and raisins. 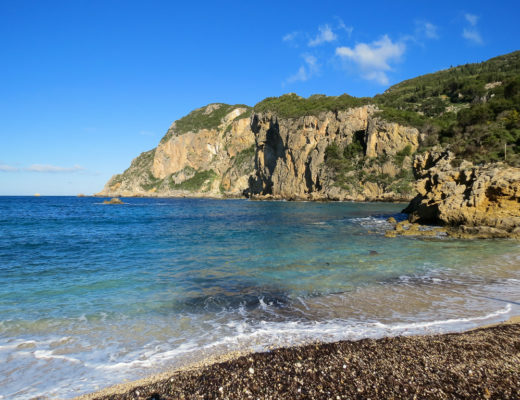 Traditional Italian meals are made up of several courses including antipasti, first course (primo piatto), second course (secondo piatto), and dessert. I’m an appetiser/tapas kind of person, so I usually get very excited about primo piatto, the first hefty course. 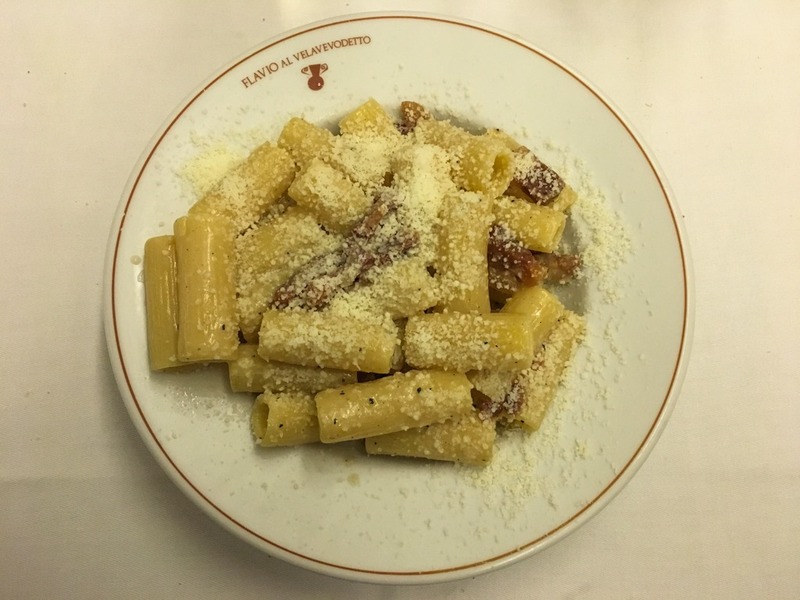 While there are so many great options in Rome, there are some classic dishes you should try! Artichokes are extremely famous and popular in Rome. You have to try them! 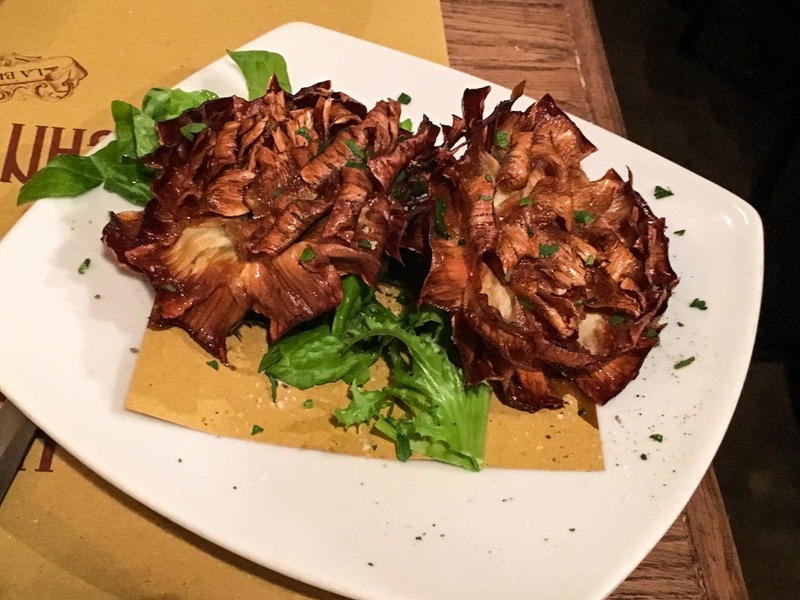 There are two types of artichoke dishes: carciofi alla Romana and carciofi alla giudia. The former is marinated artichokes cooked in white wine. 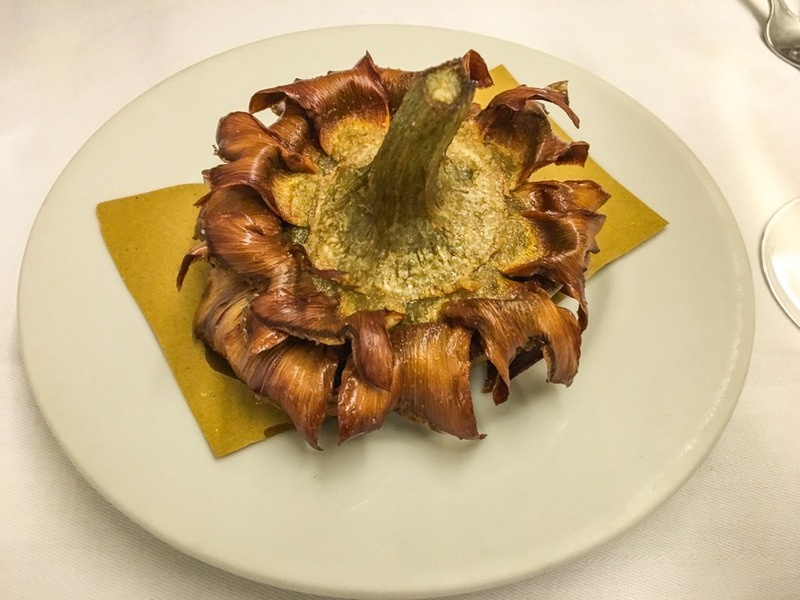 Carciofi alla giudia is a Roman Jewish dish which you have to try! These artichokes are deep fried so you can eat every piece of them. You can get some great, affordable artichokes at Cantina e Cucina or a more fancy version at Flavio al Velavevodetto (more on this restaurant later). When in Italy you must try the mozzarella. And not just any mozzarella, but Buffalo Mozzarella. 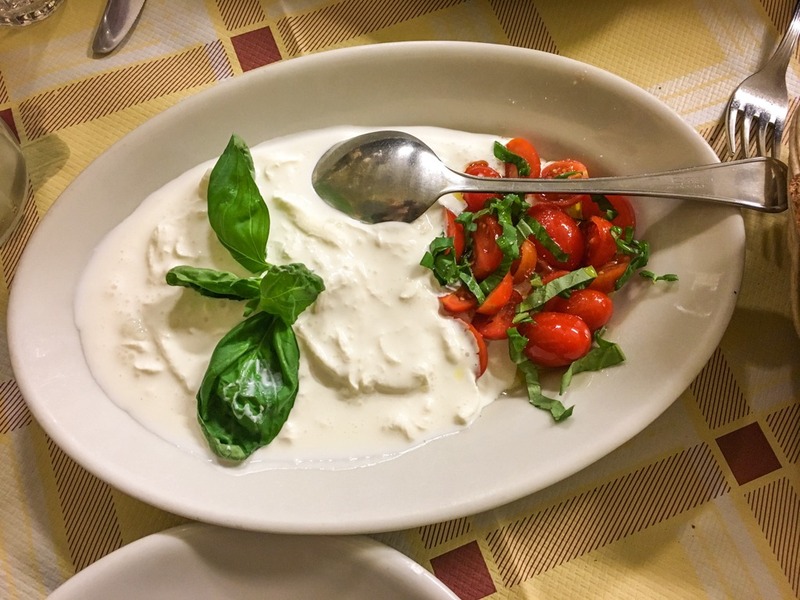 It’s traditionally from the Campania region, but of course plenty of Italy serves this amazing mozzarella. To find some great mozzarella, try out Da Enzo al 29. Okay, I know pasta is typically a first course, but I have to dedicate a section just to pasta. One of things you learn in Italy is that there are so many types of pasta. And, I’m not just talking about pasta dishes — I’m talking about the actual pasta. 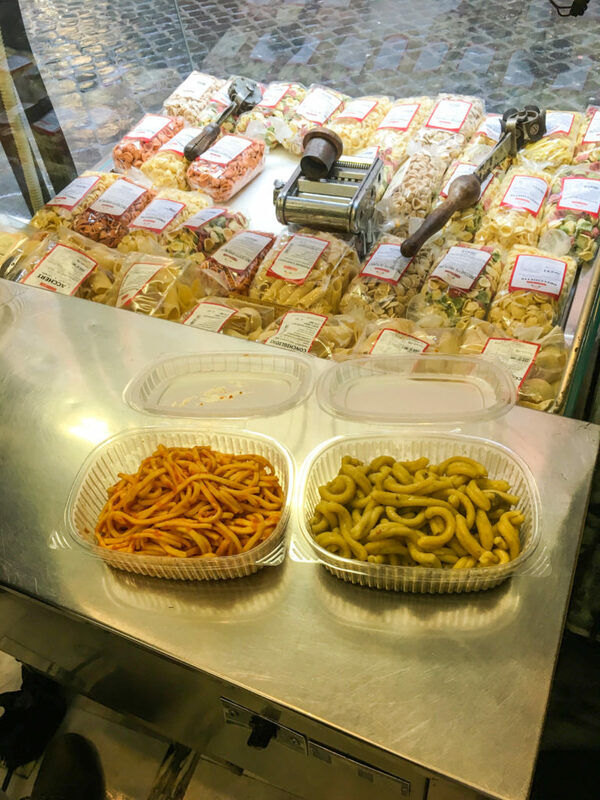 From spaghetti to lasagna to rigatoni to tortellini, there are over 300 types of pasta! 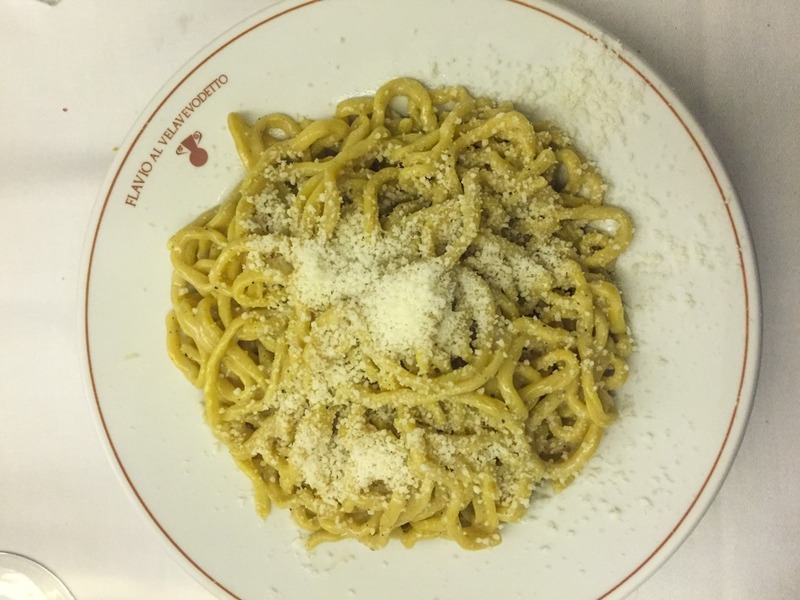 One of the most essential, foundational things to try in Rome is a pasta dish called cacio e pepe. Meaning ‘cheese and pepper’, cacio e pepe is a very simple dish made with black pepper, Pecorino Romano cheese, and of course pasta (typically tonnarelli). Yes, it has simple ingredients, but making the dish is not so easy. The tricky part is binding the cheese to the pasta. 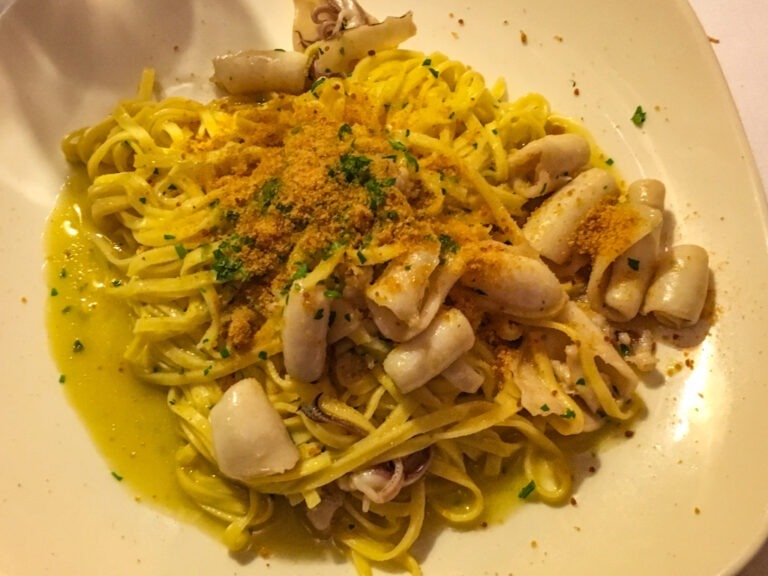 My favourite place to eat cacio e pepe is in the wondrous foodie neighbourhood of Testaccio. Flavio al Velavevodetto is one of the best restaurants in Rome and is recommended by all sorts of people, whether they be chefs, locals, celebrities, etc. Of all the amazing places we ate at, Flavio is definitely the best. Now, take your cacio e pepe, and add some guanciale (cured pork cheek). Boom! Now you have a completely different dish called rigatoni alla gricia. 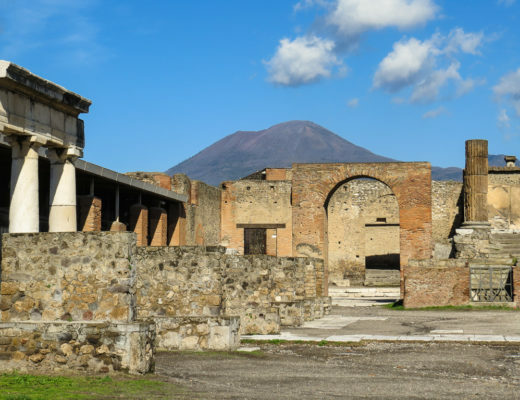 Out of all the classic Roman pasta dishes, this one is probably the least well-known. Like cacio e pepe, the technique is definitely important but another important aspect is the ingredients. Because there are so few, these ingredients cannot be substituted. Only the best of the best in terms of pork cheek, Pecorino Romano, black pepper, and pasta can make this pleasant dish. 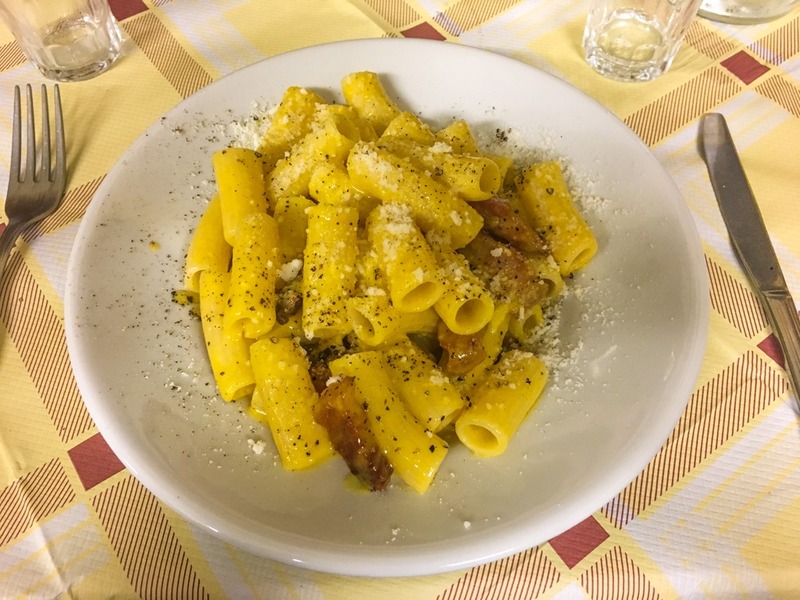 Another classic Roman pasta dish is carbonara. This is probably a dish you’re familiar with, but it’s amazing how similar it is to the previous dishes mentioned above. Take your rigatoni alla gricia and add some egg — voila! You have carbonara. Beyond these pasta staples, there are some great seafood pasta dishes to try. Our last dinner in Rome was at Hostaria Costanza. 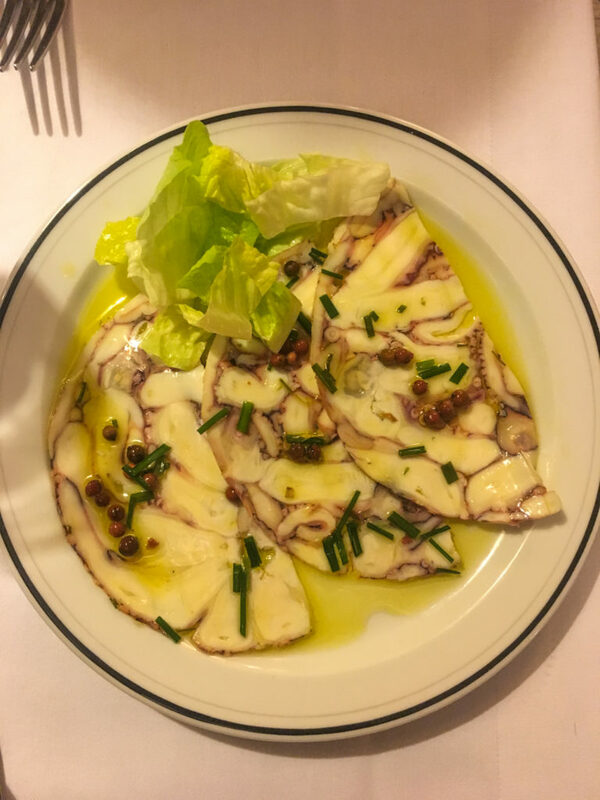 This restaurant is famous for its variety of seafood dishes, so we started off with some octopus carpaccio. As for our ‘mains’, I opted for the tagliolini ai frutti di mare (pasta with seafood), which was absolutely delicious. 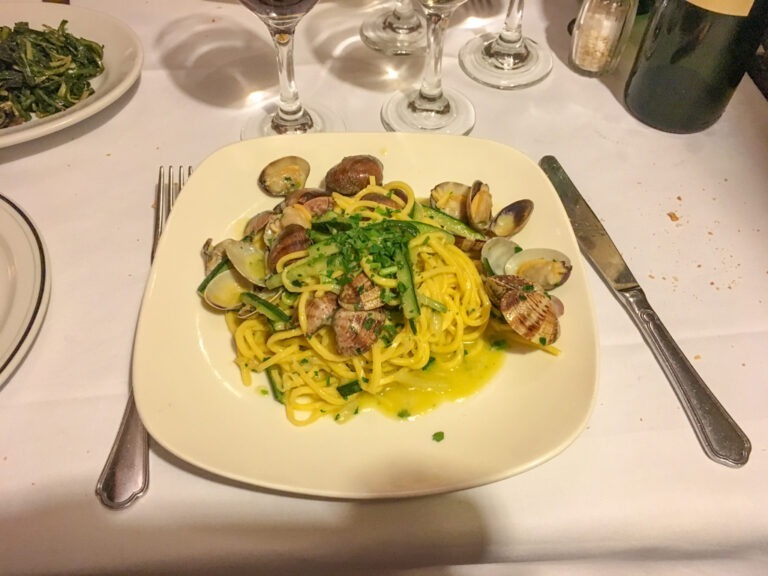 Victor had the tonnarelli vongole e zucchine (pasta with courgette/zucchini and clams). Both were delicious and a nice change from the classic Roman pasta dishes (though seriously, you have to try them all). Rome is also a great place some delicious, filling, amazing street food. Shops called friggitorie are common throughout Italy and they offer all sorts of fried goodies. 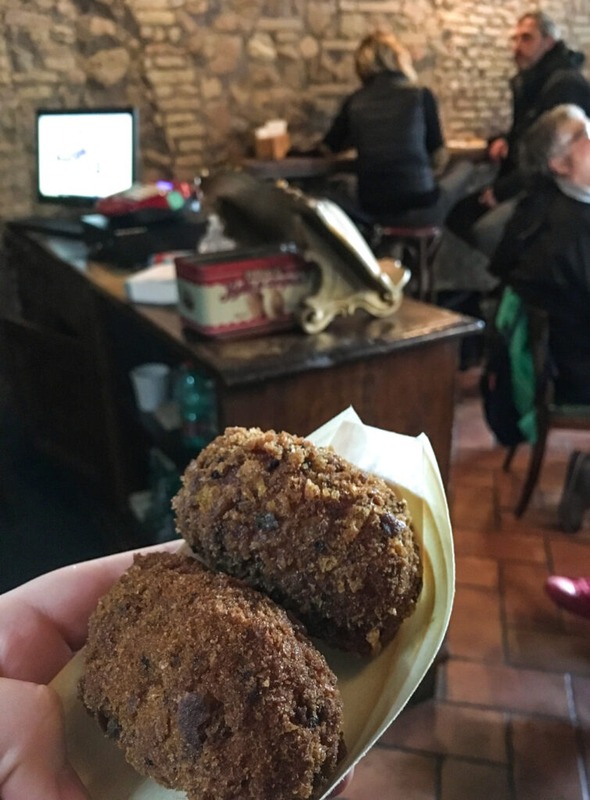 One of the best Rome street foods is supplí, which are balls of rice/risotto. 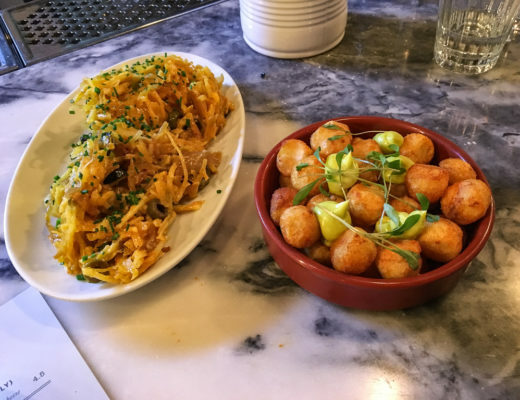 They are quite similar to Sicilian arancini, but also offer all these great flavours. 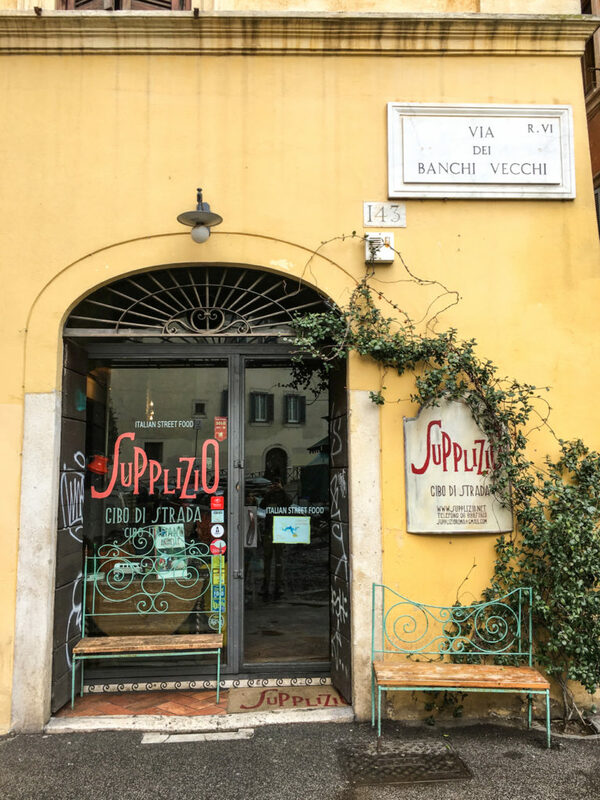 For some classic supplí, there is no better spot than Supplizio. This type of pizza was invented in Rome, and it is baked in large rectangular trays. 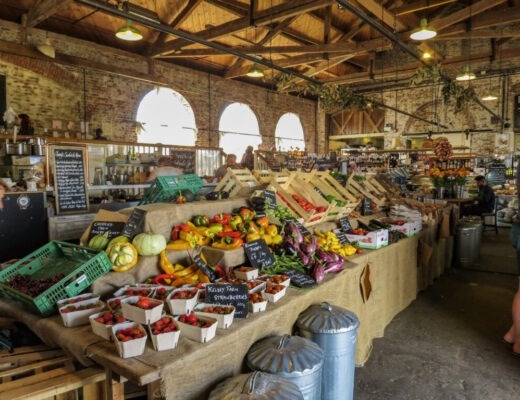 They are generally sold in rectangular or square slices by weight, with prices marked per kilogram or per 100 grams. 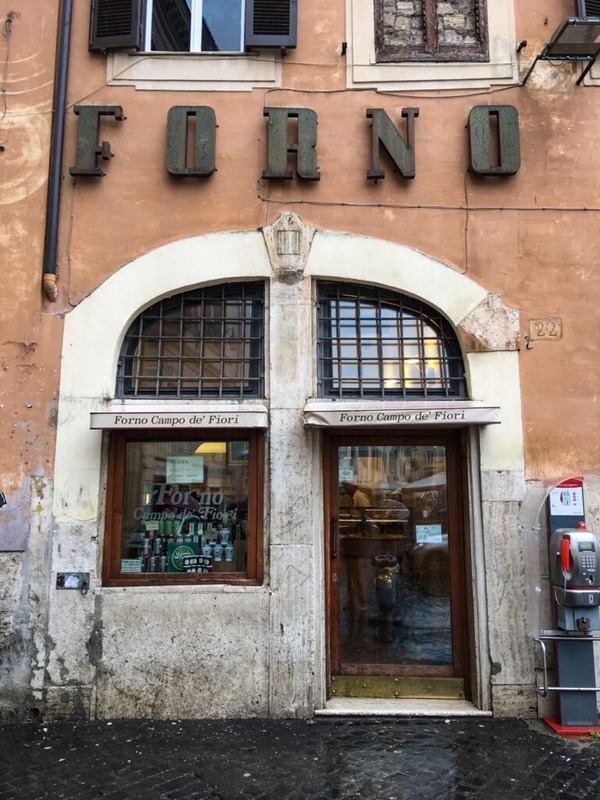 Plenty of places in Rome sell this type of pizza, but a great option is Forno Campo de’ Fiori. Okay, so I know I already talked about pasta but pasta is also great in the form of street food! 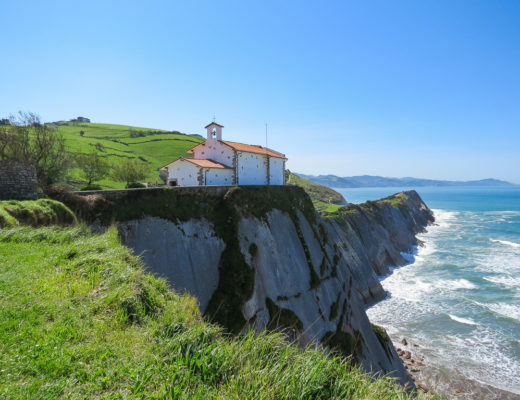 Pastificio is a darling, local place. Just before 1pm when the shop opens, local, construction workers line up each day. This pasta shop offers two choices every day and one is usually vegetarian. You also get complimentary wine — just ask! 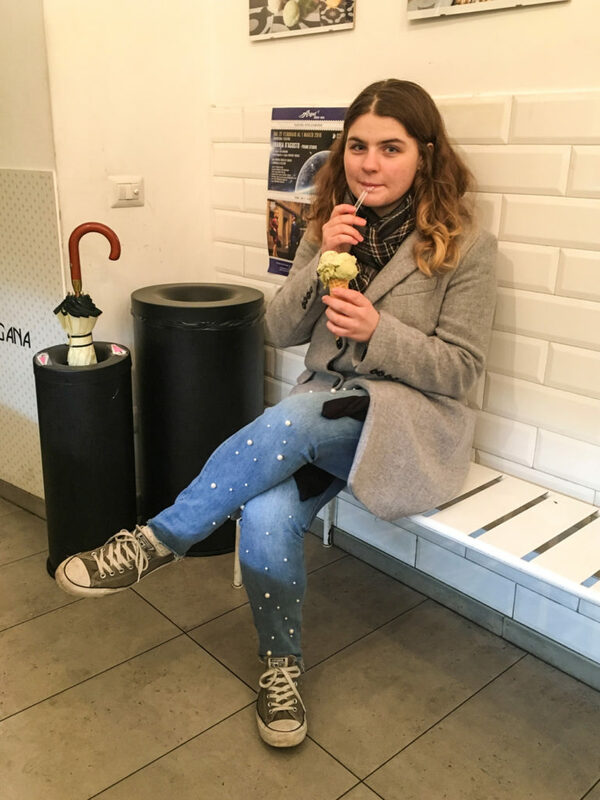 I’ve saved the best for last: Gelato! There’s a lot of frozen treats out there, from ice-cream to frozen yogurt to sorbet to gelato. What is the difference? Italian ice cream has more milk than cream, so it has less fat than regular ice cream. 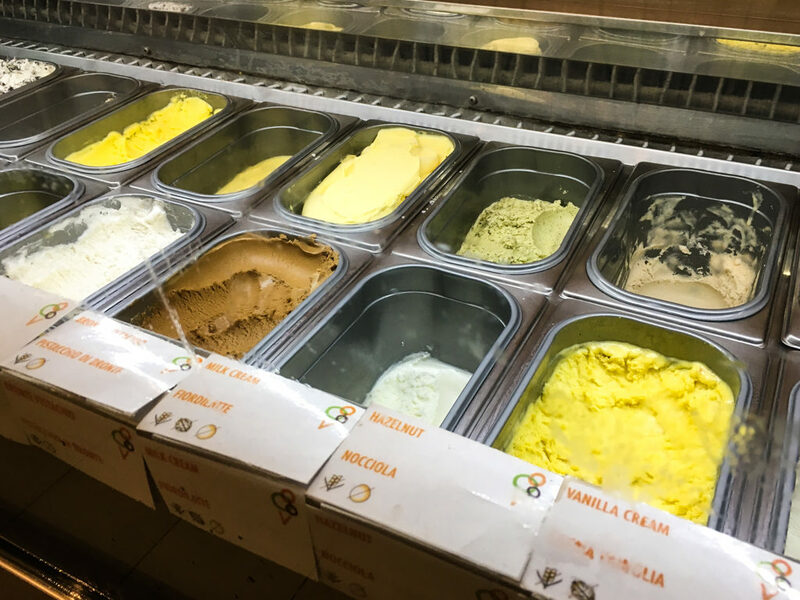 Gelato is much milkier and denser as a result of the slow churning process. This is also means gelato has a more intense flavour! And this is why gelato is my frozen treat of choice. Because it’s so dense and flavourful, you only need a little bit to satisfy your cravings. My absolute favourite flavour is pistachio, but I am incredibly picky. 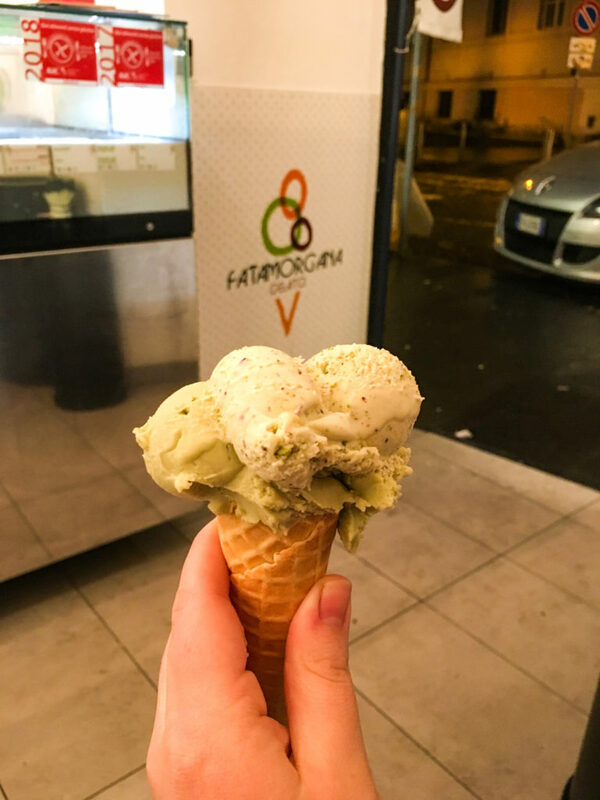 With 8 locations across Rome, FataMorgana is definitely taking the city by storm. I’m usually wary of chains, but this place truly is the best. Don’t miss out on these delicious meals and treats in Rome. Love stuff like this? 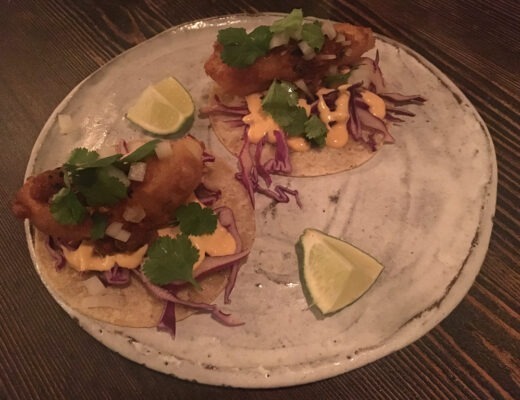 Check out my other Cuisine posts.